It's September 1st, which means it's time to get wonky! Are you with me? Whether you pre-wash or not, I do recommend that you iron all of your fabrics before you start cutting. It's not because precision is important when we start to cut fabrics -- it's just that I've found it makes the fabrics much easier to work with. What I like to do before starting a project like this is to go ahead and just cut up all of my fabric at the start. I think it's much easier when constructing blocks to just be able to pull pieces from a pile than stopping to cut every time. Trust me, it will make your block construction go much more quickly! I'm going to assume that we're working either with fat quarters (pieces of fabric sized 18" x 22"), or half-yard cuts of fabric (which, when folded, still measure 18" x 22"). 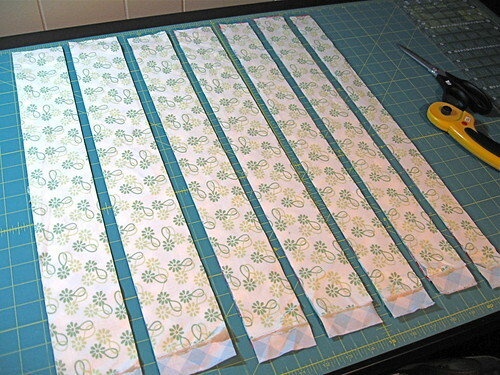 I like to cut in layers of 3 or 4, so grab a few fat quarters or 2 half-yard cuts of your fabric. 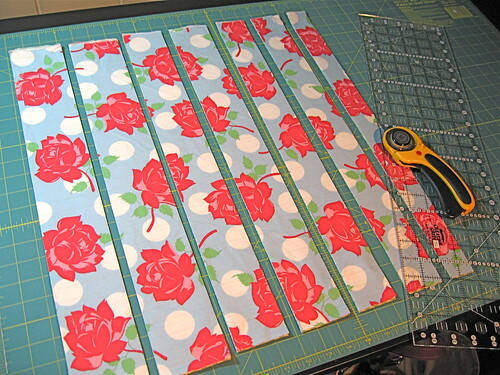 Lay them on your cutting mat so that they are 18" wide by 22" tall. We'll be cutting our strips along the length of the fabric. Cheat a little bit to the left of your 0" line (or whetever line you're starting at). If your fabrics are pre-washed like mine, you might notice that they don't quite reach the 18" mark in width. Mine don't. That's OK -- don't worry about it! Start your cutting with a fresh edge. I believe this is called "truing up" the fabric. I like to start mine on the 0" line. So, because I trued up my fabrics on the 0" mark, I made cuts on the 3" mark, the 6" mark, the 8.5" mark, the 11" mark, the 13" mark, the 15" mark, the 16.5" mark, and the 18" mark. This should take you to 18" wide. 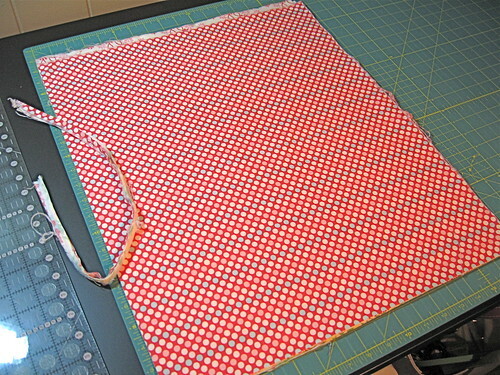 As I told you, my pre-washed fabric was shy of 18", so I only got one of my 1.5" strips cut from each fat quarter. That's OK! 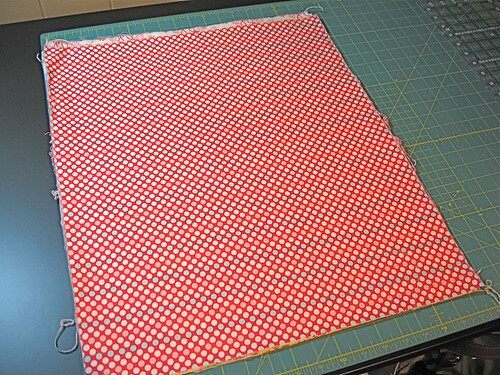 If you started with half-yard cuts, the fold will be along the width of the fabric closest to you. You will have half as many strips as your fat quarter counterparts, but they will be twice as long. That's OK! You'll be cutting them down further when you make your blocks. We're going to be cutting our logs down a little further when actually making the block, but I like to start with a variety of different sizes. You can choose to cut your strips however you'd like -- all the same size, all smaller to get more strips, or any other variation. And here are all of my logs, cut and ready to go. Next up, we'll start piecing our first block! If you have any questions, please leave me a comment or post to the Frequently Asked Questions thread in the Flickr group. Looks like fun stacks of fabrics! is this all the fabric you'll need for a 5x5 block quilt? for some reason, it just looks like a smaller stack than i would have expected. Good question, silversmith! I think my last picture might be deceiving. 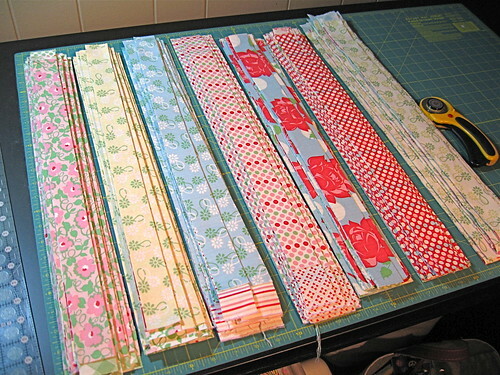 Don't forget, each of those stacks contains strips from 3-4 fat quarters, since I cut them in stacks. So yes, there is enough there ... I think I actually started with 30+ fat quarters! OK I'm with you so far - nice choice of fabrics! excellent instructions!! Thank you so much. I may actually get on board with this! That's a SWELL choice of fabrics if I say so myself John! John, just looking at those pretty logs all neatly stacked makes me want to go home and start cutting..... ah, if only I didn't already have 17 projects on the go. Love your work! Looks very organized stacks of fabric. 30+ FQ's? Wow... up here in the Great White North (B.C.) FQ's are fairly pricy... but I really really wanna do this... and your fabrics are awesome, or should I say SWELL? Hopefully I can get it together and tag along for the ride on this project! I am sew impressed by your talents. I browsed your blog a bit and am loving all of the eye candy!I am not a quilter and can barely sew but I sure love seeing your creations! Hi John just stumbled across your blog i think it is great for men to get involved in crafts my dad used to crochet, and do all types of crafts. i will look forward to following your blog. Found you from Moda Bake Shop and have been drooling over your creations. Now, off to get some more fabric! Hi John! I just found your blog through the Moda Bake Shop site. I REALLY wish I had the time to quilt along with you and the others, but this is not in the cards for me right now. 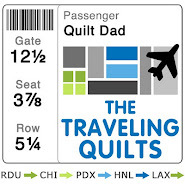 I do want to make a post on my blog about your quilt along. Will you by chance be making a link button for people to post on their blogs? 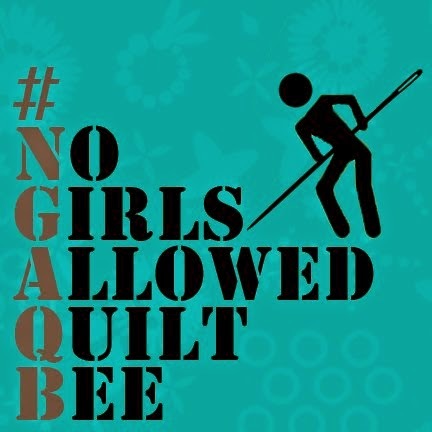 I am a new quilter in the uk and not sure really what this is all about I would love to join in and can get all the fabric (as though I havent enough)!! We have a lovely new shop near by ! Thanks for the tutorial!! I wanted to do it when you first did it, but my load was already high!! So, I am doing it now and wanted to show you my first block!! Thanks again. I love the look!! I love your tutorial, but for those following along, oh, years later, is there a place to find the whole tutorial in one post? Or a way to link up "Next" at the bottom? Because your tutorial is AWESOME! Thanks for your hard work! Nevermind.. I just clicked on the September link! Duh. :) Thanks!